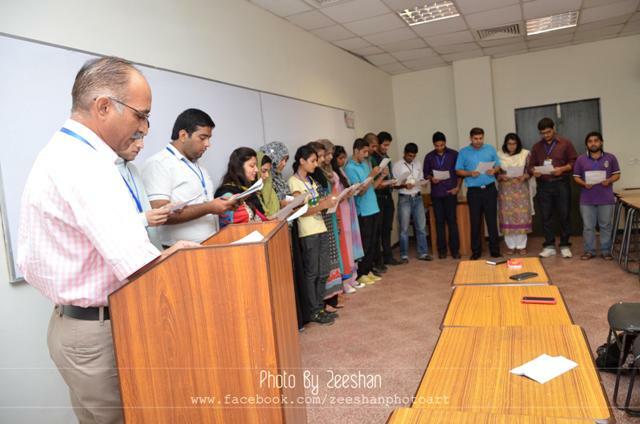 On 25 September 2013, Lucas Economics Society held the Oath Taking Ceremony 2013-14. The ceremony began with the recitation from the Holy Quran followed by a recitation from the Holy Bible. 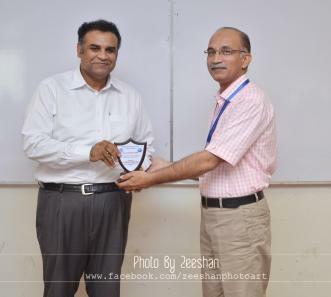 The entire economics department faculty, former and current society members were invited to the formal gathering. 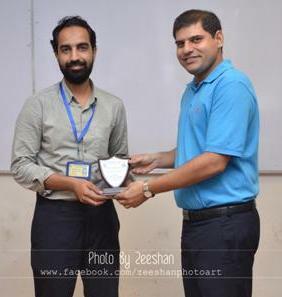 Honorary shields were presented to the former head of the economics department Dr Shabib Haider Syed, former society advisor Dr Rizwan Ahmed and former society president Bilal Ahmed by their successors as a token of appreciation for their sincere services to economics departments. 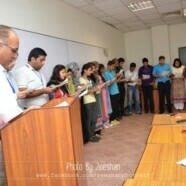 The new advisor Prof Salahuddin Ayyubi, co-advisor Prof. Ayesha Anwar, president Raja Hashim and his all office bearers took the oath of commitment from Chairperson of the Economics Department Dr Babar Aziz. 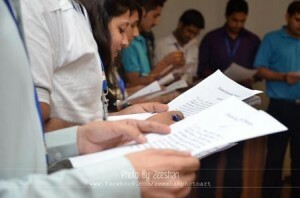 Later, Dr Babar Aziz, Dr Shabib Haider and Dr Rizwan Ahmed gave congratulatory speeches to the newly appointed society members and expressed their high expectations and hope for sincere and diligent commitment from them.